Does your audience trust you and your body language? How important is body language to a successful business presentation? “Body language” is always identified as one of the top concerns of nervous presenters. But what does that mean? The importance of body language has been a hot topic over the past decade for psychologists, communication consultants, and the self-help industry. It has been suggested that verbal communication accounts for only 20 to 30% of communication and that non-verbal communication reveals more than spoken words. But what does that mean in the context of a business presentation? Does that mean you could deliver a presentation without saying a single word and still communicate 70-80% of what the audience needs to know? Hyperbole and taking things too literally may be at work here. If you accept the premise that everything that exists in our shared experience of reality is essentially information, then you could easily argue that the room you are in communicates way more information to the audience than your presentation. While that may be literally true, it is not very useful for addressing the concerns of a nervous presenter. Body language can be very important to interpersonal communication. There are often critical ideas and emotions that remain unspoken but which are intimated through body language. Body language can also be instrumental in establishing or gauging the power dynamic between individuals engaged in dialogue. But in performance, i.e. 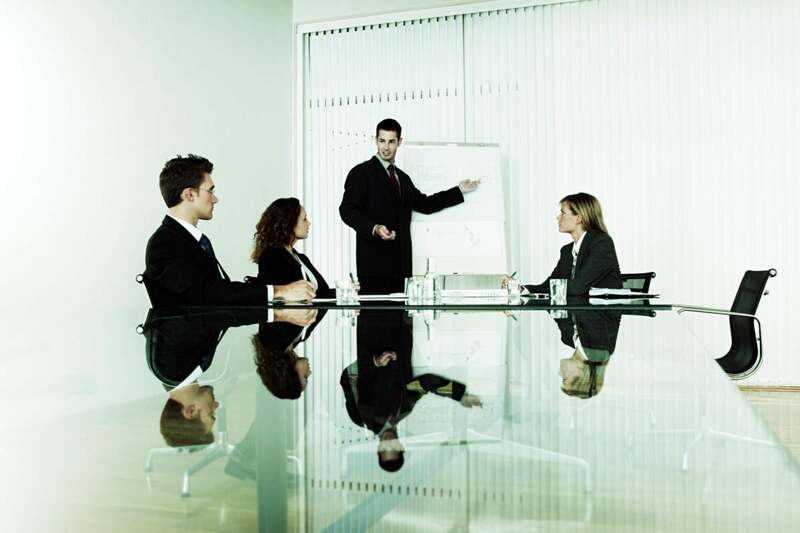 when presenting to a group in a professional setting, we have less sub-conscious and sub-textual concerns. The presentation is not about the presenter, it’s about information that an audience needs to make decisions. Our voice and body are the primary tools we use to communicate that information. Is it all about body language? The current emphasis on body language may be a case of the pendulum swinging back too far. Historically, we probably were overinvested in rhetoric when it came to public speaking and we needed to give the role of body language its due. There are surely many good reasons why the pendulum has swung back now, so far and so hard. It be may be due to changing fashion: more of the body is exposed in public today. Public speakers are no longer shrouded by togas, robes, frock coats or Victorian necklines. Unmasking the body creates opportunity for both expression and anxiety. Our modern consumer culture and media pay inordinate attention to personal appearance which makes us all more self-conscious. But if body language is everything in performance, wouldn’t we expect to see more interest today in mime, circus, silent films and a resurgence of physical comedy on stage and in television as the primary means of expression. We don’t. A presentation is physical, but we still prize the voice and language above all in live performance. Research shows that audiences reserve judgement regarding their trust and their perception of intelligence until presenters open their mouth and speak. What I think most nervous presenters mean when they say they worry about body language – other than “how do I look” or “do I look nervous”, is self-control. They are less concerned with whether or not they are using or losing 70-80% of their ability to communicate, than they are with losing control of their bodies. They are afraid of generating extraneous, repetitive, distracting, inappropriate, compromising, counterproductive, comical or contradictive motion. That is well and good because extraneous movement is just noise, and as presenters we want to reduce noise. But when it comes to the use of the body (beyond the voice) in a business presentation, there are only a few important things you, as the presenter, need to remember. Presence: where and how to place yourself. You begin to establish presence with position and orientation. Position. You want to be seen and heard by the audience. Don’t hide behind a podium, attempt to merge yourself back into the audience, or try to put as much distance between yourself and the audience as you can. Establishing position comes from optimizing your location in space, your relationship to the space you occupy and the other objects and people sharing that space. You want to optimize your position to best reach your audience, transform their thinking, and move them to action. Orientation. Don’t orient yourself to your laptop, a mic, or the screen. Orient yourself toward the audience. The audience needs to see your face. The audience needs to see and know that you are attentive to their interests and available to meet their needs. Posture. Posture in the context of a presentation is not a cultural norm pertaining to good manners or a key indicator of physical well-being. What is more important than alignment is physical energy. The low energy state of physical collapse associated with feeling relaxed or being casual is antithetical to your need to change the inertia of your audience and to move that audience to action. Gesture: the body in motion. Strong arms and quiet hands: Avoid what I call finger spelling gibberish and bent elbows. We want to embrace the audience with strength and apply a calming touch. Theodore May is the developer of Hacking Presentation Technique, introducing tech executives and managers to the art of giving great business presentations.